This a Product Talk by Nuffnang post – I didn’t receive payment for this post but I did receive a free sample to review. I’ve never hated ironing, but it is a time consuming chore. I’ve always been up for things that would make it easier, whether it’s an ironing spray, a new way of hanging the washing so it dries less creased or heck, even a spanky new iron! The arrival of the Tefal Pro Express Turbo Steam Generator could not have come at a better time. 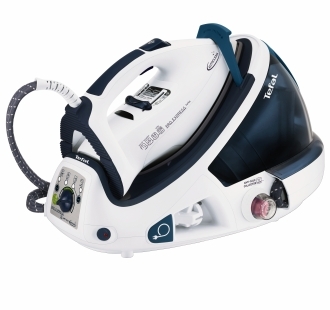 My previous “Steam Station” iron had not long given up the ghost, and I was using my Mother in Law’s standard iron that she had recently replaced. The iron worked perfectly fine, but it just wasn’t as powerful as I had been used to … ironing had become labourious again. Reading through it’s specs I was rather surprised at just how powerful this thing was. Now, as a techno-junkie I know that no matter what’s on paper, the real test is putting it to its use. So I set it up and got going on a few bits and pieces, business shirts, school uniforms etc. I set it to the upper medium heat and eco steam, it simply breezed through it all, including a hanging steam. My ironing was done quickly, with a great finish. Large water tank, 1.8L, which is removable to refill while the unit is still on. One thing I would have liked to have seen is a post to hold the steam cord up over the ironing board, rather than let it just hang. It would alleviate the apparent weight of the iron unit. I think I’m going to have to find one to attach to the ironing board. 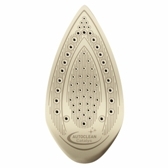 Having owned a steam station style iron before, it was good to have that previous knowledge to know what I should expect from this device. The Tefal unit, in my opinion, has operated far better than my last steam station. It’s more powerful and a little over half the price of my previous unit. It’s by no means an inexpensive iron, but if you have a larger family, or a lot of dress/business clothes to look after, then the investment may well be worth it. Iron in the Sky with … Nazis?